Now that you’ve had some time to sit outside and enjoy your backyard area a bit this summer, you may have started evaluating your outdoor lighting. There are probably things you like, and things you want to change before fall arrives. At Lighting One of Cincinnati, we can help you find new exterior lighting so that come fall, your outdoor area is exactly how you want it. One of the biggest issues that many homeowners run into with their backyard illumination is with step and stair lighting. The steps leading from your deck or patio down into the yard need proper lighting, and if you don’t have that, you could run the risk of somebody tripping and falling because they misjudge the height of a step or they don’t see that there’s one step left to go. This can lead to serious injury, and the last thing you want is for someone to get hurt while they’re attending a birthday party or a backyard barbecue. We have a great selection of step and pathway lighting, so if you’re looking for new fixtures, then you can find them in our showroom. Perhaps you spent a good part of June and July working on a new part of your yard. 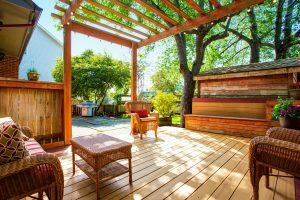 You may have added a gazebo in the corner, or maybe you put up a pergola to shade your patio. Whatever the case may be, if you want to enjoy the new part of your yard to the fullest, then you’ll need new lighting. You might be looking for a single hanging fixture, or you may want strand lighting that you can run back and forth along the new structure. We have a great selection to choose from, and our staff will gladly help you pick the best options. As you’re sitting on your back porch during the summer, you may notice that you can’t quite see who’s walking by in the alley, or you may notice that there’s a particularly dark corner of your yard. While you don’t want to think about security issues, they can be something that are worth addressing. New motion sensor lights in the right places can illuminate those dark corners when need be, and perimeter lighting can help you identify people who approach your house from the rear. You’ll also sleep better at night, knowing that your home has the proper lighting in every area. 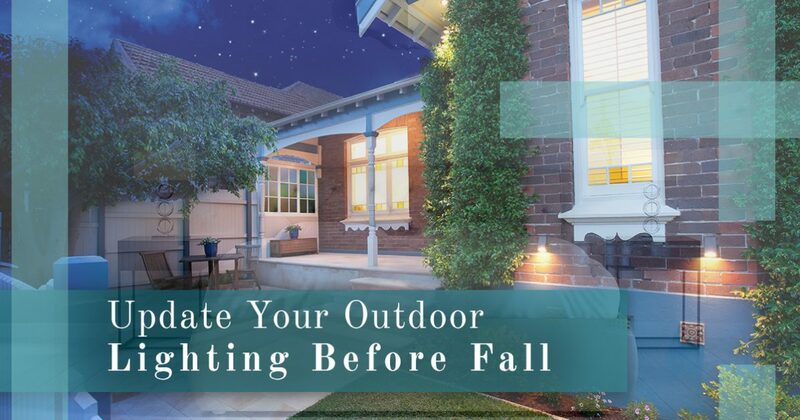 If you’ve been evaluating your outdoor lighting this summer, then come to Lighting One of Cincinnati and make the upgrades you want before fall arrives. You’ll likely be spending time outside well into September and October, and you’ll be able to enjoy your new fixtures this year, and for many more years to come. Our showroom is open Monday through Saturday, and you can reach us at (513) 306-4442 or at info@lightingoneofcincinnati.com. You can also schedule a consultation with one of our lighting experts, who will help you choose the perfect exterior lights for your home.